Social media is a major part of the customer journey. A growing number of consumers are using social media to search for, discover, purchase and recommend products. This offers retailers a great opportunity to build a relationship with their customers and connect with them throughout their purchase cycle. But from our experience, few retailers are making the most of this opportunity. For the time being, these stores are integrated with your current ecommerce platform and transactions are processed through your existing website. However, Facebook is currently testing functionality that would allow users to pay and complete their purchase entirely within Facebook through a third party payment solution. Combined with improvements to the Facebook pixel, allowing you to track website behaviour that is influenced by your Facebook ads, and new audience targeting options for dynamic product ads, Facebook is very much leading the way in social commerce opportunities. However, Pinterest is still one of the most powerful forces in social commerce. 93% of Pinners are using the platform to plan purchases, and on average they spend 70% more than other online shoppers. While not yet available in the UK, Buyable Pins, which will let users purchase a product directly from a Pin that inspires them, are something that all online retailers should be watching closely. Even Snapchat is getting in on the act, having recently launched Shoppable Snaps – ads that allow users to swipe down for purchase options. Snapchat has struggled to attract the hordes of advertisers that Facebook has bagged, given its expensive pricing structure, basic targeting options and limited analytics, but they are hoping that a partnership with Nielsen and renewed trust in the platform will turn that around. Another channel that has struggled to effectively monetise its platform, Twitter is testing its own “Buy Now” button for ads. According to research, 43% of UK consumers currently use social media to research products before making a purchase, and this number is growing. Many consumers now search on social media platforms without consulting a search engine at all. Making sure that your social channels are optimised for discovery and engagement will only continue to become more important. Once a customer finds your brand on social media, the experience they encounter could have a major impact on their desire to purchase from you. Social media users expect brands to be extremely responsive on these platforms: 42% expect a response within an hour, and 32% expect a response within 30 minutes. Not providing distinctive, interactive content and communicating often with your followers could lead to customers feeling negative towards your brand – and 95% of customers say they are inclined to share negative brand experiences on social channels, which could impact your reputation amongst other potential customers. When consumers are making their final decision about which brand to purchase from, 80% are influenced by reviews on social media platforms. Enabling and encouraging customers to leave reviews, and sharing customer feedback, can be incredibly valuable to your business – especially as research suggests even negative reviews have a more positive impact on customers than no reviews at all. Once a customer has made a purchase, allowing them to connect their social accounts for a more personalised experience and communicating with them on social platforms not only gives them a better customer experience and therefore makes it more likely they will shop with you again, but also encourages them to share their experience for new researchers to see. Social commerce doesn’t only drive social sales. 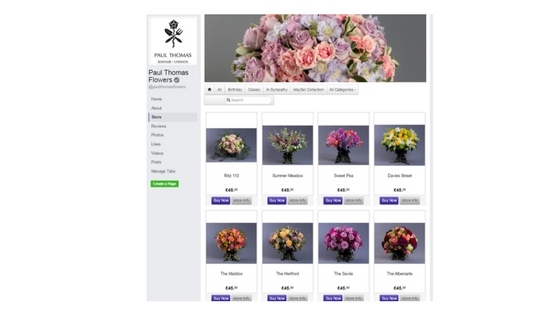 When we launched a Facebook shop for one of our clients, we were pleased to see a 74% increase in revenue. However, we also saw a 160% increase in direct conversions and 133% increase in organic search conversions. We know that customers mostly use social media on their mobiles, but prefer to complete purchases, especially high-end purchases, on desktop. Customers discover the brand through the Facebook Shop or adverts on mobile, then return directly to the website or through organic search later on desktop. Social media advertising also creates “warm leads” – those who have seen an ad for a brand on a social platform are twice as likely to click on a PPC ad. True enough, PPC conversions for our client increased by 56% following our Facebook activity. Customers are likely to come into contact with your brand on a multitude of channels before they make a purchase decision – the more seamless and integrated you can make their experience, the more likely they will purchase, continue to purchase, and influence their networks to do the same. Your social media channels aren’t just a place for you to advertise, they are an extension of your physical and online stores – a place where customers will browse, ask questions, make complaints, ask other customers’ opinions, and purchase. Rather than simply using social channels to promote your business, think about how you can use those channels to offer the best possible service to your customers. Then you know they’ll be back. 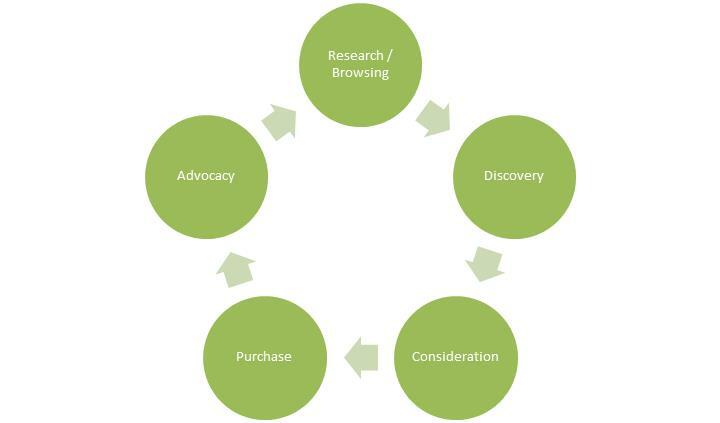 To find out how Leapfrogg can help you develop a social commerce and customer service strategy, please do get in touch. This week, Instagram introduced Instagram Stories, a new feature which allows users to share ‘in the moment’ content on the social media platform. Instagram Stories allows users to share multiple moments of their day through images and video that will only be visible for 24 hours before they disappear forever. Sound familiar? You wouldn’t be mistaken; the new feature no doubt owes a great deal to Snapchat’s hugely successful ‘Stories’ feature. Instagram is well known for being a place for perfectly polished imagery which is a heavily edited version of real-life, but this new feature merges the authentic nature of Snapchat with their already hugely successful platform. 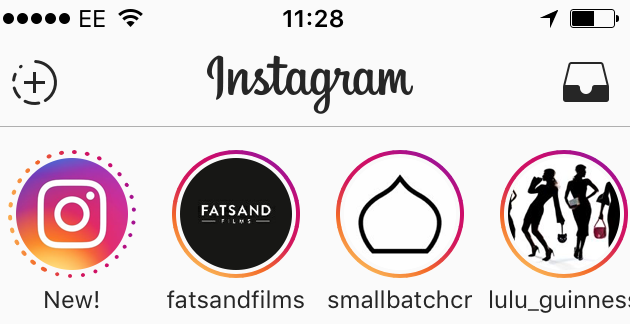 You can start to create a story by clicking on the + icon in the top left-hand corner of your feed or swiping left. Once you have taken a photo or video you can bring your stories to life with filters, text, drawing tools and emojis. 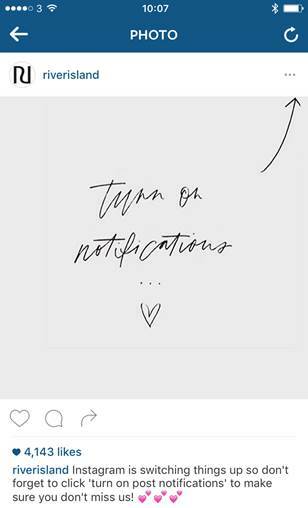 After you’ve posted your ‘story’, users can access it by tapping the circular avatars at the top of their feed, or clicking a user’s avatar on their Instagram page. According to Instagram, you’ll be shown your favourite accounts first thanks to their algorithm. When there is a new story to see, the account’s profile picture will have a colourful ring around it. TechCrunch has useful guide on how to use the new features here. 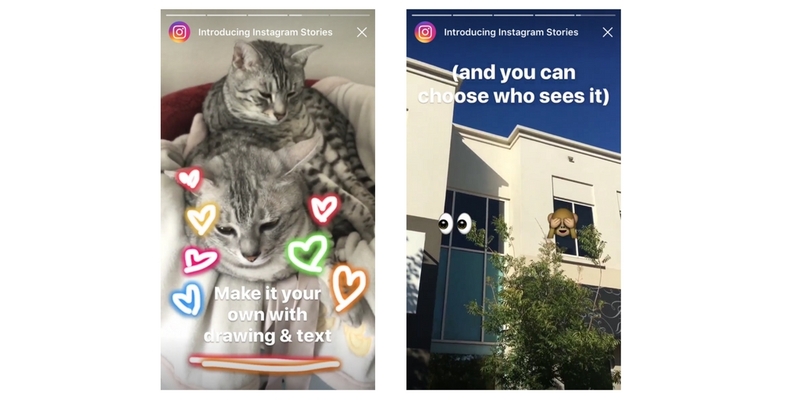 Instagram Stories has already been described as ‘Snapchat for adults’ due to the fact it’s much more user-friendly and doesn’t require you learn to use a new platform. Snapchat’s problem, which may well be intentional, is that the user experience has always been slightly clunky and tricky to navigate. At least for anyone over the age of 25. Instagram has taken that confusing interface and made it work seamlessly within their platform. The other issue with Snapchat is that it lacks a sense of community – it’s impossible to find new people or discover interesting content without knowing a user’s exact username. It also doesn’t allow users to link to products and web content without verbally having to direct followers to another platform, making it tricky for influencers and brands to drive sales from the platform. For this reason, Instagram Stories is more brand friendly and allows brands and influencers to access ad functionality, audience data, analytics, and an API. With over 400 million active daily users on Instagram, compared to Snapchat’s 150 million daily users, we expect many Instagrammers to start to use this new feature rather than direct users to another platform where their followings are likely to be smaller. But have Instagram missed the point slightly? The main reason that the under 25 demographic is so enamored with Snapchat is its intimate nature. Sure, Stories are public, but only to people following you, and you can only follow someone if you know their exact username, have their number on your phone, or are standing right next to them. You don’t have to be found unless you want to be, meaning that you can choose to keep the pool of people you communicate with very small. In a world where the pressure to get followers and likes can make teenagers anxious, Snapchat offers a welcome safe space where no one knows how many people are following you and no one can like anything. Instagram, on the other hand, is massively popular amongst this demographic because of the superior quality of its imagery. Snapchat (and other private apps, like Whatsapp) are where teenagers go to communicate; Instagram is where they go to create and consume art. By trying to win ground back from Snapchat, Instagram could be diluting the essence of what made it popular in the first place rather than enhancing and celebrating its position as a distinct digital space. There’s no doubt, however, that this is a massive opportunity for brands. Snapchat has troubled marketers for a long time as its difficult to attract new followers, very difficult to advertise, and almost impossible to measure impact. Instagram, on the other hand, now offers all the functionality of Snapchat, enabling brands to put together fun, lively, real-time streams of content, combined with the advertising and targeting power of Facebook. It’s the Snapchat marketers have always dreamed of. Creative brands with a young target market will surely want to experiment with this new format and see how it supports their engagement across the platform. Time will tell whether Instagram users embrace the new format or whether Snapchat continues to be the app of choice for turning yourself into a unicorn! In the last couple of weeks, visual bookmarking site, Pinterest, has opened up advertising to UK brands for the first time as it looks to monetise its growing user base and prove it can help brands drive up sales. Advertising will be open to all brands in the UK and Ads will be sold on a cost-per-click basis or a cost-per-engagement basis and can be targeted based on demographics, interests or keywords. Marketers will also get access to data including impressions, engagement, click-throughs to a website and activity. Pinterest also offers what it calls a “conversion pixel” which can help you understand how your Promoted Pins are performing and get a clear idea of what they are doing for your business. For example, you can add conversion tags to track activity based on the objectives of a campaign such as how Pinterest encourages newsletter sign ups or measure sales information on what pages people visit, what they put in their basket and purchase. On speaking of the development, our Paid Search Consultant, Matt, said “As a brand new advertising platform Pinterest offers a wealth of opportunity for brands. Get in early and your ads will stand out and make a greater impact on people are yet to discover your brand. 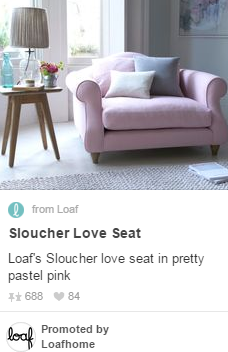 We’ve already spotted a couple of home décor retailers such as Trouva and Loaf utilising Promoted Pins. The platform is perfect for them as home décor is one of the biggest categories of pins. 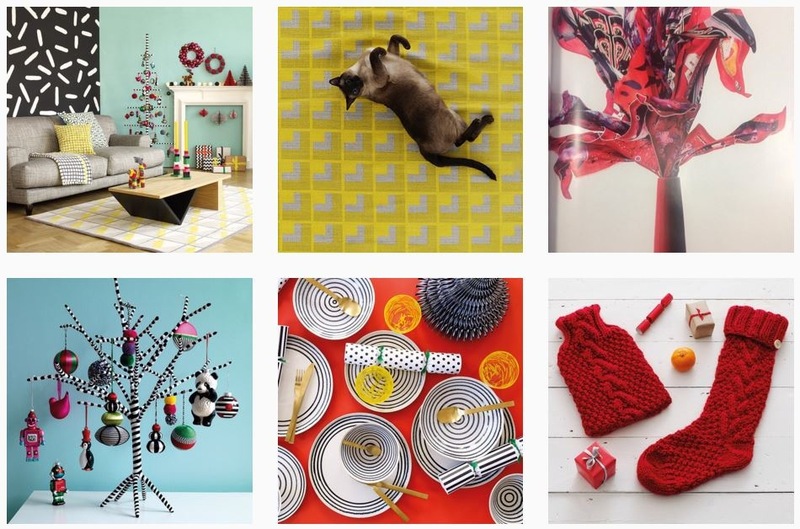 If you would like to find out more about your Pinterest strategy, please do get in touch. On March 15th, Instagram announced that they are following the likes of Twitter and Facebook and implementing an algorithm that will mean that posts are no longer presented in chronological order. To help combat this, the algorithm will calculate the likelihood that we will be interested in something based on our past interactions with content, our relationship with the person posting it, and the timeliness of the post. For now, all the posts you would usually find in your feed will still be there, just in a different order. However, there has been a backlash against requests for turning on notifications given that your mobile is no doubt already buzzing and bleeping with hundreds of other notifications and it doesn’t necessarily solve the problem. On the changes to Instagram, our Social Media & Content Consultant, said “Brands need to accept that algorithms are beginning to dominate every major digital channel. The impact of Instagram’s algorithm is that brands are likely to see a drop in visibility and engagement – which will impact their web traffic and ultimately revenue. While Instagram is still testing this new feature, we recommend you use this time to review your content and social media strategy. Gain insight into what content your audience likes and focus on improving engagement rates rather than just posting content on the platform. We also recommend looking into running Instagram adverts to improve the reach of key posts e.g. those promoting a sale or new product launch. Please do get in touch if you’d like advice on your Instagram strategy. This week, we’ve been getting excited about the launch of Canvas – Facebook’s immersive ad feature that allows brands to tell “more compelling stories” and improve engagement with consumers. Burberry ad using Canvas on Facebook from Digital Team on Vimeo. Monika, our Paid Search Consultant, thinks this is a particularly interesting opportunity for premium and luxury brands and said “Facebook has been investing heavily in its ad products. The latest is Canvas, a full-screen ad experience that’s optimised for mobile. From a technical point of view, this is a welcome development. From load speed to user experience, mobile presents a variety of challenges to marketers – to some extent Canvas solves these problems by giving them a ready-made framework. This new platform opens up a wealth of new opportunities for marketers, but to really utilise them to their potential, they will need to display interactive, innovative ads that integrate consumer insights. Leapfrogg’s Senior Social Media & Content Consultant, Hannah, said “At Leapfrogg, we’re very much looking forward to seeing what creative ideas brands come up with for Canvas. Content that tells a story performs very well on the platform – Canvas supports this type of content as it takes users on a journey. However, we predict that the most successful adverts will be the ones by brands that really understand their customers. The most creative advert in the world is useless if served to people who have no interest in the brand or its products. By understanding customers, their interests, buying habits and how they like brands to interact with them, retailers can create adverts that not only look good but get the desired result. Despite more than half of consumers feeling that Valentine’s Day is a waste of money, it has clearly not stopped Britain spending. Last year saw £313m spent on food and drink, £518m spent on gifts, and £135m spent on seasonal non-food items such as cards and wrap and this year, it’s estimated that Britain will spend £980m*. 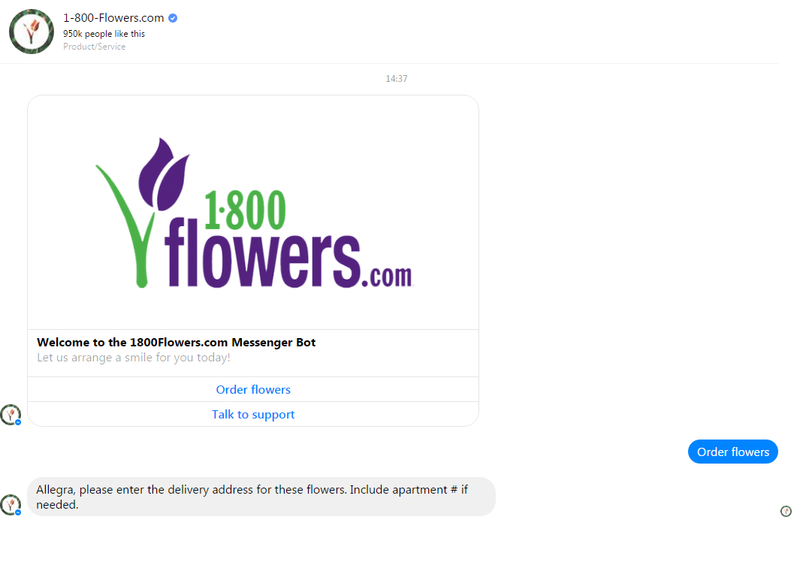 In response to this, brands have been really pushing their Valentine’s campaigns this year with everything from emojis to fishing. Here we’ve rounded up some of the marketing highlights from premium retailers we have seen so far. Ted Baker is well known for their creative and engaging campaigns. To celebrate Valentine’s Day this year, the retailer rolled out a quirky microsite featuring a fishing game that invites consumers to ‘hook their Sole Mate’ in order to win prizes. Users get three plays per day, before being invited to share the campaign on social media and return the next day to try again. The campaign also adorns Ted Baker store windows in the period running up to Valentine’s Day. Check it out here. You can’t have missed House of Fraser’s not-so-subtle #emojinal takeover which was all over their social channels last week. The brand which is usually more known for their luxury-focused image hijacked trending topics such as Harry Styles’ birthday and Gigi Hadid’s night out by sharing a flurry of slightly cringe-worthy tweets and photoshopped images of celebrities filled with emojis. While a lot of people have been slating House of Fraser’s #Emojinal campaign because it was such a stark contrast to their traditional branding, it certainly captured people’s attention. It’s clear that House of Fraser was trying to capture a younger audience, but the campaign was criticised for alienating their existing audience as they jumped on trending topics without any real meaning or context. Interesting, as we get closer to the big day, there is no sign of the campaign on House of Fraser’s social channels. Valentine’s Day is a key date for jewellery brands, and so it’s no surprise to see many brands upping their game before the big day. Pandora launched their #GesturesofLove campaign by visiting three stations to surprise people with gestures of love jewellery and a morning coffees. They have also rolled out the campaign to their social channels to drive user-generated content asked their followers to share what simple gestures make them feel loved over on Instagram, Facebook and Twitter. One tip from our MD, Rosie Freshwater, is to make sure you are not alienating some of your customer base by blanket sending Valentine’s content or only speaking about valentines on your social, as half of them could be single and really not want to be reminded of it this time of year! Facebook reactions were first announced in November 2015, after many requests for a ‘dislike’ button from users. Now after a period of testing in various markets across the world, Facebook has announced they are ready to roll this feature out to all users in the coming weeks. 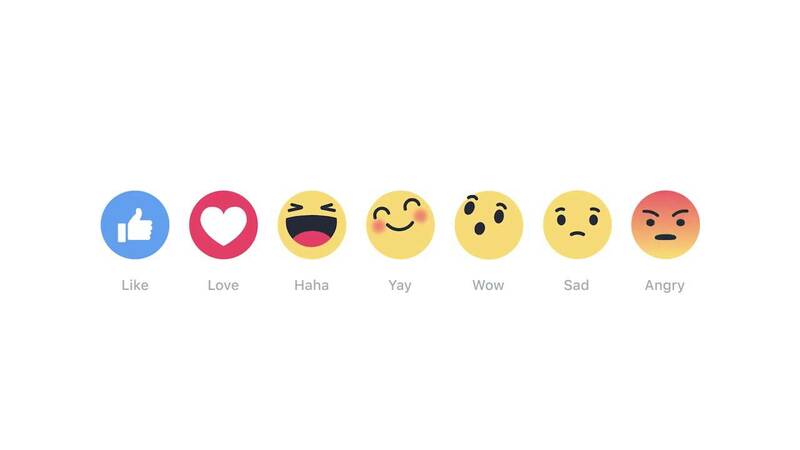 Facebook is rolling out an initial five Reactions: ‘angry, sad, wow, haha and love’. Although, this update may seem quite trivial, we’re interested to see how brands and retailers can start to use this feature to gain even more insight and data into the customer experience. Now is the time for marketers to develop a plan to process this new stream of customer data so they can take advantage of it at launch. If you follow @HouseofFraser, you won’t have missed their very out of character #emojinal takeover which was shared across their social channels on Monday. The brand, usually more known for their luxury-focused image, hijacked trending topics such as Pep Guardiola’s move to Manchester City and Harry Styles’ birthday by sharing a flurry of slightly cringe-worthy tweets and photoshopped images of celebrities filled with emojis. A quick scan of the #emojinal hashtag on Twitter shows mixed reactions from House of Fraser’s followers with many expressing surprise and dismay at the drastic shift in tone from the retailer and questioning whether the account had actually been hacked. The campaign appears to follow on from their more ‘edgy’ Christmas advert back in December as House of Fraser continues to evolve its image and reach a new audience. Following on from the above, our favourite fragrance brand Diptyque has also jumped on the emoji bandwagon. To coincide with the launch of their new Rosaviola scent, Diptyque has recruited fashion designer Olympia Le-Tan to create embroidered versions of the brand’s iconic packaging. In addition, the full range of designs have been digitised as an emoji keyboard which includes lollipops, typewriters, lipsticks and a version of Diptyque’s recognisable shopping carrier. Unfortunately, the icons cannot be used like traditional emojis but are more like ‘Facebook stickers’ where the user has to paste them into messages which we found a little disappointing. It’s interesting to see how a luxury brand such as Dipthque has jumped on the growing trend of emoji marketing but put their own luxury spin on them in order to meet reach out to a younger, tech-savvy audience. Insight Edit: Are consumers buying through social media? Here at Leapfrogg, we have a panel of over 1000 retail consumers that we engage with on a regular basis to help us understand customer needs and expectations from the brands and retailers they buy from. Every month, we question them on a range of areas from buying behaviours and brand opinion, to emotional purchase triggers and their recent shopping experiences. The Insight Edit is our weekly bite size edit of the insight we gain from our panel in our search to truly understand the mind of the premium customer. There has been a lot of speculation that 2016 will be the year of the “buy now” button in social media. Many people within in the digital industry are convinced there will be a huge move forward in the number of consumers purchasing directly through their favourite social media platforms. Whilst we are seeing the steady impact of social media (done correctly) on purchase behaviour across our client base, we are still seeing a low number of direct purchases through those platforms. We decided to ask our panel if they had bought directly through social media platforms in the last three months. Of the 23% who did make a purchase – 77% made a purchase through Facebook, 33% through Instagram and a further 13% through Twitter. This shows us that social platforms still have a long way to go to be the main conversion channel compared to retail websites and email. 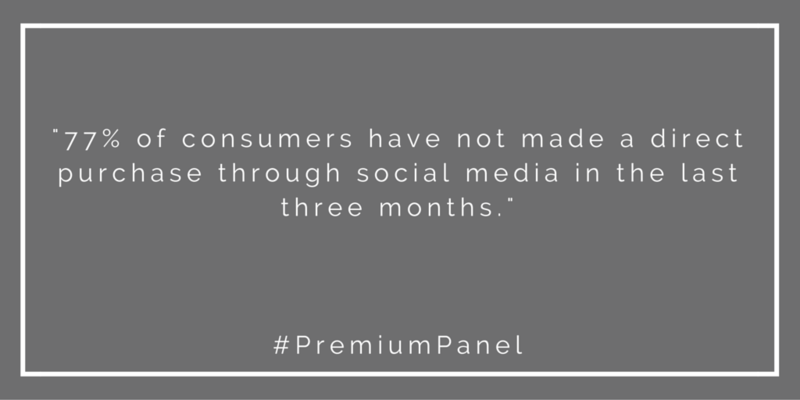 We believe the main reason for this is due to the consumers lack of willingness to make purchases directly on social channels. Perhaps they are just not in buying mode when engaging on those platforms. Alternatively, retailers may not yet be providing the right levels of engaging content on those platforms and, therefore, failing to create the need to purchase right there and then. It will be interesting to see how these numbers change over the coming months as the main social platforms continue the push their “buy now” buttons to own the purchase moment in the customer journey. Back in September, we launched our first ever Customer Engagement Awards. After a month of voting from our Premium Panel, the public and a panel of retail experts we were delighted to announce the winning brands across a number of retail sectors. In this series of blog posts, we will be taking a closer look into why the winning brands are leading the way with customer engagement by delivering relevant content and engaging socially with their customers. First up is Habitat who was voted the most engaging online furniture brand and scored 13/25 in our first engagement report. In our analysis, Habitat scored highly in terms of the engagement they received on their own on-site content. We were impressed by the content they produced, but felt a key takeaway for the brand was to cascade this content consistently across their social channels and use it to excite their audience further. The Habitat website is a great resource for those interested in interiors with everything from iconic product stories and information about their designers to their heritage and Habitat’s role in modern culture. 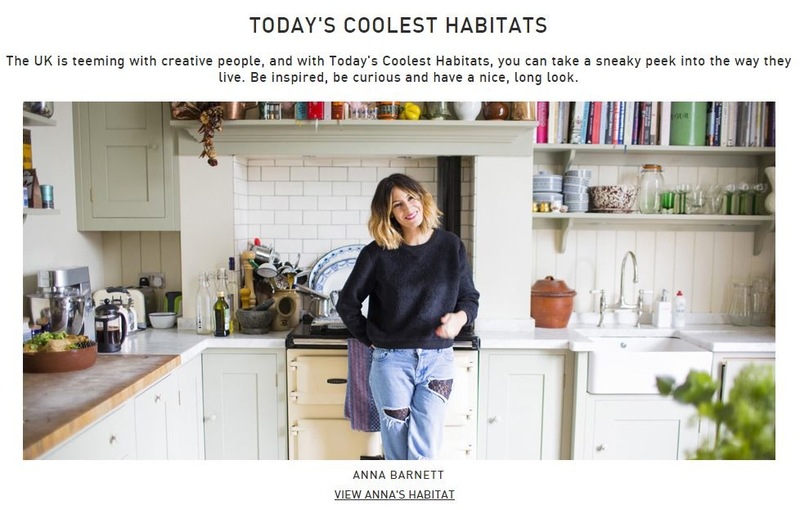 We enjoyed their #HabitatVoyeur campaign which accompanies their recent television adverts. This campaign takes a look into the homes of some of the UK’s creative individuals and shares their interiors inspiration. The content doesn’t just share inspirational interior design, it also introduces readers to exciting people in the fashion, food and drink world and does a great job of making you feel “in the know” and that you are accessing exclusive content. Habitat has also produced humorous videos which give instructions on how to be a #habitatvoyeur, tapping into the fact that many of us enjoy a snoop around other peoples’ homes. 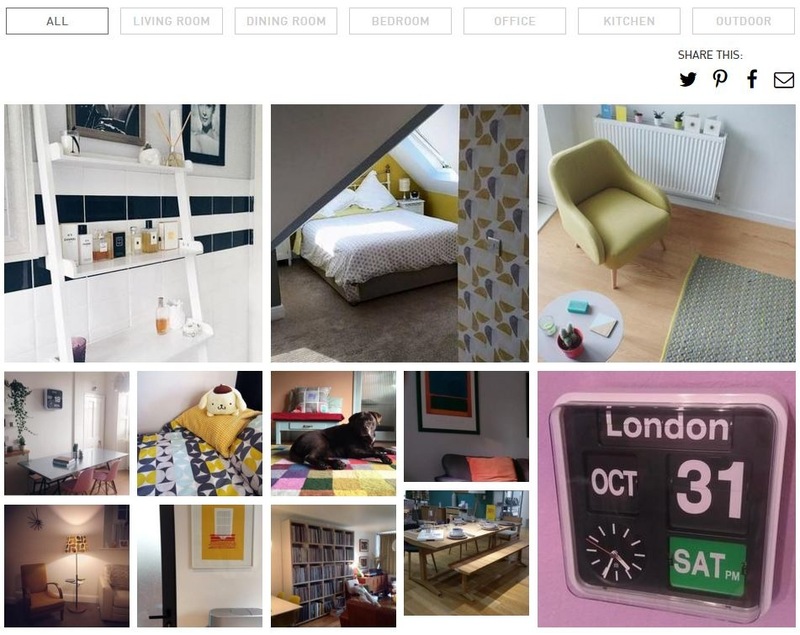 To engage their audience further and spread the idea of Habitat voyeurism, they recently ran a competition, in which they invited people to upload an image of their home in order to win a voucher which produced user-generated content and engagement across their social channels and allowed consumers to become part of the brand. On-site, Habitat has a blog section which includes buying guides, stories behind their products and gift guides and inspiration. However, this content is very tucked away on their website and should be given more prominence on their website and social channels. It would be great to see the product stories incorporated into their product pages to really bring them to life. Buying guides can also improve conversion rate as they help customers make an informed choice. Habitat received the most engagement for their own content on Twitter followed by Facebook. Their strategy on Twitter also see’s them retweet happy customers and mentions of their brand whilst sharing their own content. There is a good mix of post types including images, video and mentions from bloggers. They also reply to customers order queries and complaints in a timely manner. A nice touch is that they reply to any Twitter user who submits a #HabitatVoyeur image, but it would be even more brilliant if they could make this more personalised to each customer. Over on Instagram, the brand has been steadily growing their following. Their images are all vibrant and modern and very reminiscent of the Habitat brand and their products. As well as sharing products, they also share images from their #HabitatVoyeur campaign, behind the scenes ‘sneak peeks’, press mentions and images of their products in context. However, some posts weren’t receiving a huge amount of engagement compared to other brands. Facebook, although full of content, is one way and the engagement is mainly in the form of Likes. A development for Habitat could be using their #HabitatVoyeur campaign to engage more of a conversation with users. They could ask more questions, survey fans on what rooms they like most, or even offer the opportunity to be interviewed by Habitat and share their customers’ inspirational images to push their voyeurism theme even further. You can read more in our furniture engagement report here. Out this week, the John Lewis Retail Report 2015, How We Shop, Live and Look, made for fascinating reading. With 34% of John Lewis sales now online, the brand has declared 2015 the coming of age of the ‘Master shopper’. Meandering down a complex buyer journey towards an eventual purchase (and repurchase), the Master shopper uses the full range of online and offline channels available to get inspired, get information, garner opinions from peers, make a purchase, get it delivered and tell the world about what they think of it. Depending on what they are buying they might move through every channel, or double back, or move directly to purchase, there is no set A+B=C. This omnichannel path to purchase is a result of technology weaving its way into our everyday lives. There are, of course, buying patterns, but each of us uses technology in our own way. We have come to expect technology and digital channels to be there to answer questions, and provide solutions. A big part of this is social media, which John Lewis have now declared more influential on buying decisions for their customers than celebrities and models on the catwalk, with inspirational Facebook, Instagram and Pinterest product images driving sales. The premium and luxury retail sectors have historically been slow to adopt digital marketing personalisation, with some major fashion brands only this year launching on Instagram. This is gradually changing, with many high profile brands integrating social media and marketing personalisation into their PR and marketing. This year, Burberry blazed a trail by premiering its SS16 collection on Snapchat the night before its catwalk show, but all major fashion brands now live-stream their shows. At Luxury Interactive 2015 this October, Stacy Huggins, Vice President of Digital Marketing at Tamara Mellon, said, “Data-driven personalization is today’s handwritten note.” This could take the form of targeted mobile adverting campaigns that use geolocation to deliver real-time product information, or more prosaically, the segmentation of data to access insights into the motivations and behaviours of a brand’s customers. Whether its cutting edge campaigns, or solid bottom line drivers, digital channels offer opportunities to provide the kind of enriched experiences that make premium brands stand out from the crowd. It’s important, though, to remember that all of this marketing personalisation is about people. While geolocation offers brands the chance give real-time product information in a seamless way, it could be seen by some customers as creepy, rather than cool. Fashion etailer Zalando this summer rolled out Zalon, an online personal stylist service, in Germany, Austria and Switzerland. A team of 150 stylists offer personal telephone consultancies and personal product picks to customers, at once driving sales and building customer profiles through real-life relationship building, not just real-time automation. Marketing personalisation is not just a way of growing sales, it’s the future. As technology more and more becomes part of our everyday lives and buyer behaviour, personalisation will become expected across every channel. How this will look and how brands will translate the power of omnichannel delivery and data driven personalisation remains to be seen, but the opportunities are there. Personally, I am looking forward to it.